Detailed information for Springfield Union Station. 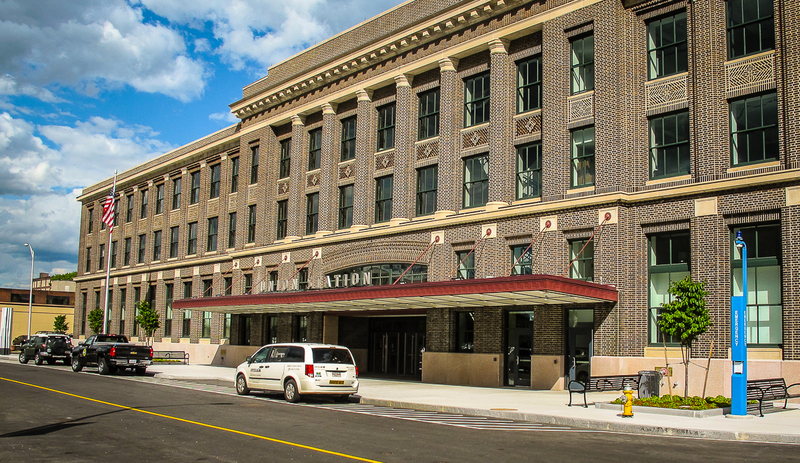 The south entrance provides easy access to the station concourse — which runs under the tracks — and the stairway and elevator that leads to the train platforms and the existing Amtrak waiting room and ticket office. Note | Hartford Line ticket vending machines are located at the north end of the concourse near the main waiting room. Note | Select the $5 “Daily Commuter” rate at the payment kiosk in the garage. Keep in mind that you can park for free on Lyman Street all day on Saturday’s and Sunday’s. 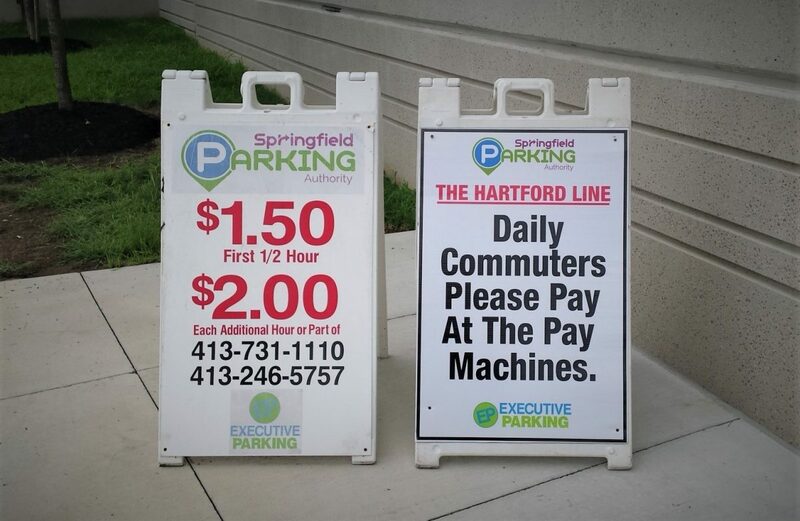 You can also park for free at the Windsor Locks CT station. This station is about 14 miles south of Springfield and is right off of Interstate 91 at Exit 42. 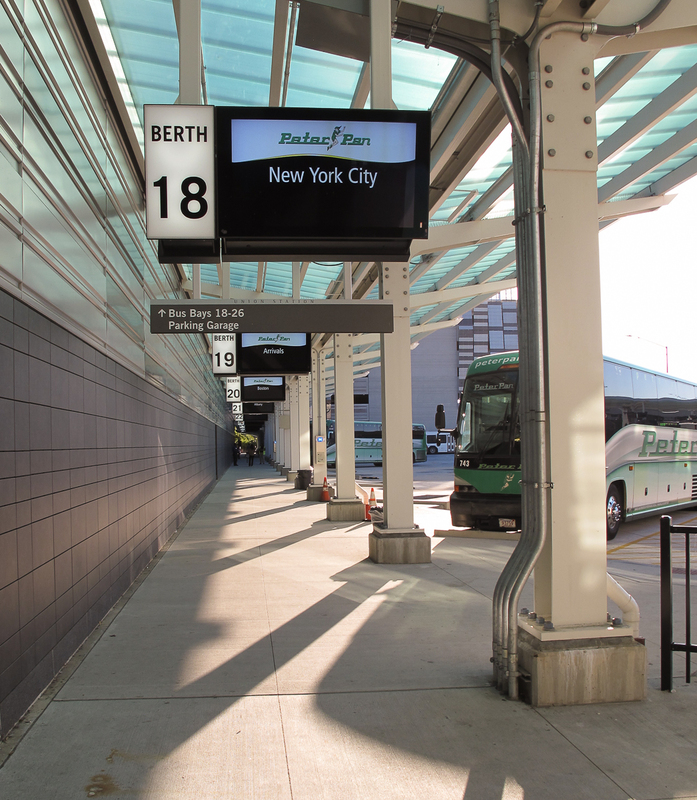 The Pioneer Valley Transit Authority (PVTA), Greyhound, and Peter Pan Bus Lines provide frequent service to (and from) Springfield Union Station. Peter Pan’s station stops in the Pioneer Valley include Amherst, Hampshire College, Holyoke, Northampton, South Hadley, Springfield, and UMass Amherst. 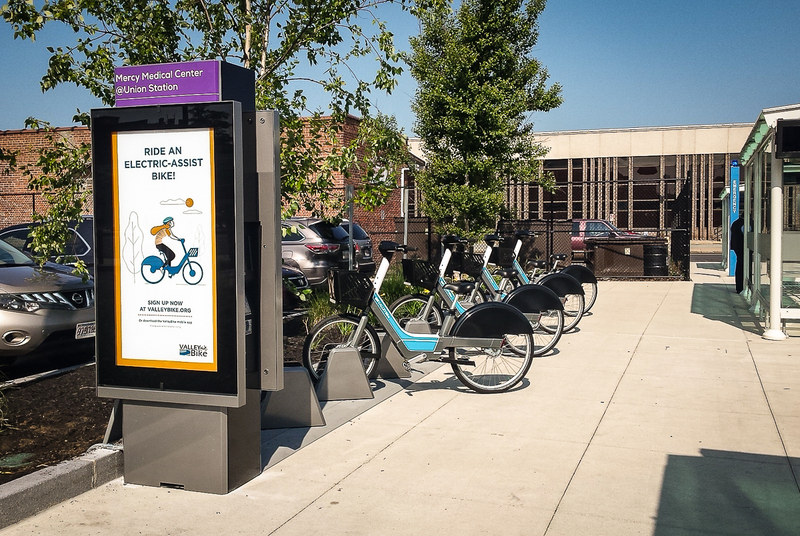 ValleyBike Share’s dock at Union Station is located near bus berth 15, on the north side of the station complex. For further information visit the ValleyBike Share website. The taxi stand at the station is located outside the Lyman Street entrance to the station, which is at the south end of the station concourse. Enterprise will happily pick you up and drop you off. Printed copies of this map are available at the Springfield Visitors Center.